As we are busy resolving this set of problems, our liaisons are advising those who are forming the new NESARA government. 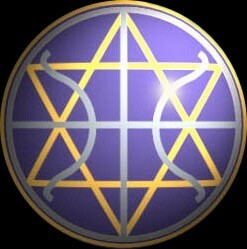 This particular step is the beginning of a process, which is to eventually lead to galactic society. Your governance needs to become an open transition between what is the best for you (open governance) and your fully conscious future. Government was originally the province of the privileged. In your society, money “talks.” It is how elections and legislatures are controlled and managed by the oligarchy (the few really wealthy families). This arrangement is really not something that can support public policy. Government requires that it be opened up to all. This is where NESARA came in. We support it simply because any aging non-responsive system needs a massive re-structuring. This redo needs to restore this system back to its original principles. This is where NESARA now stands: at the very edge of manifesting. As the blessings pour in, this system can finally be relevant to these times!